Announcing the 2018 Seattle Anarchist Book Fair! 2018 Seattle Anarchist Book Fair! 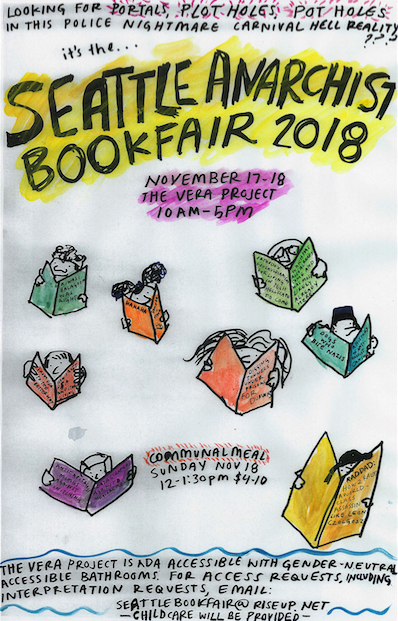 The tenth annual book fair held on occupied Duwamish land will be a two-day thrill ride on Saturday and Sunday, November 17th and 18th, from 10 AM-5 PM at the Vera Project. hanging out, and building relational forms outside of consumerism. first and second floors and gender-neutral, accessible bathrooms.